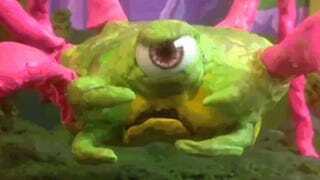 Here's a really cool claymation short by animator Johnny McHone, featuring Link and angry plasticine monsters. It totally looks like a Robot Chicken sketch with a little bit of Neverhood and Skyward Sword added. Must have taken a while to film the whole thing, since it was made entirely using an iPhone and Vine.